Heaven in Lake Placid, Walk Everywhere! Great Weeks Available! The Homestead is a gorgeous Dutch colonial home situated on a private village street, tucked away in the theatre district of the village. It is just one block to Main Street and Mirror Lake, very private but still right in the middle of town! The home also features a living room with flat screen TV, formal dining room, breakfast nook and a side room. There is an outdoor 8-person hot tub on the deck and access to the two-stall garage. There are games, Cable TV, wireless internet (WiFi), and stereo with iPOD jack. Fenced in yard is perfect for your dog, pets are more than welcome! This is the perfect property for one, two or three families!! We had a wonderful time, the house is in the perfect location! Our dogs loved the fenced in yard. The location couldn't be better! We all felt so comfortable here, kids and dog included. We look forward to returning! Lake Placid has it all. Four seasons of the year there is ALWAYS something to do outdoors. We spend much of our winters downhill skiing at Whiteface mountain, cross country skiing just about ANYWHERE, and snowmobiling the hundreds of miles of trails the Adirondacks has to offer. The rest of the year we enjoy boating or paddling the lakes, golfing or hiking the many high peaks in the area. Mirror Lake Beach a 5 minute walk! New stainless, flat top electric. New stainless appliances, very spacious. The perfect house the perfect location! We LOVED staying at the Homestead! The house is extremely spacious with plenty of room for large groups. We had had 8 adults and 3 kids with 4 cars and were comfortable. Lots of private space as well for those who are seeking quiet time. The location is amazing...walk to everything & only a short drive to snow shoe & ski. The kids loved the close proximity to Ben & Jerry's, Pizza & a walk on Mirror Lake! We will definitely stay here again! We traveled for a winter vacation to this lovely home with 6 adults and 6 kids. We had plenty of room to spread out and enjoy the house, plenty of room to sleep and eat comfortably with our large group, and certainly enjoyed both the location and the hot tub after a long day of winter activities. We will gladly be back for future vacations! We had a wonderful stay in Lake Placid! Our group of 8 adults and 1 pooch fit more then comfortably in the home. The walk to Main street took less than a minute. The hot tub was also a plus! The owner, Tom, was super nice, responsive, and easy to get in touch with. We would definitely stay here again whenever we are able to make it back. The House was beautiful with a very rustic and cozy feel. It was close to town and fulfilled our families needs during our vacation. The homeowner was very accommodating and easy to communicate with for booking purposes. Thank you for a wonderful weekend getaway! Location is fantastic. 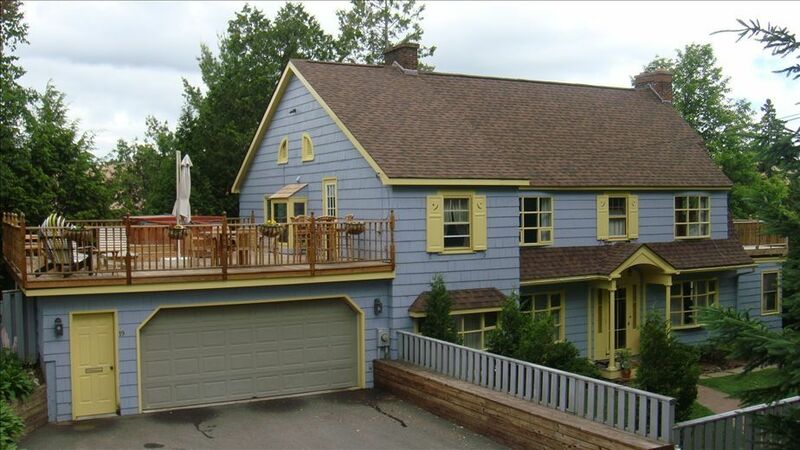 Located right off Main Street, you have access to the whole of Lake Placid! Spent the week here with family. Was able to accommodate 15 in the house, along with our 2 dogs! Plenty of room, and prime location. Had all the amenities one could need, and allowed ease of access to all the prime locations in lake placid!